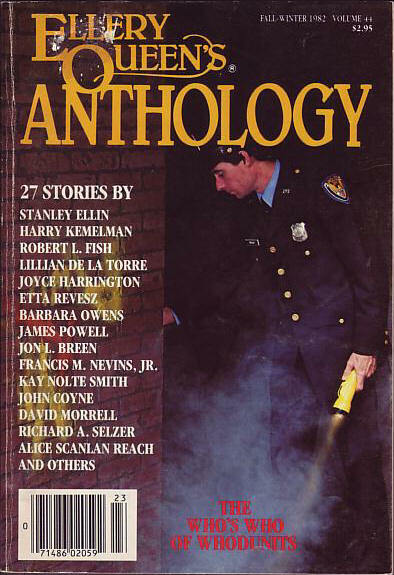 This issue was also available in hardcover (Dial 1981 as Ellery Queens Doors to Mystery). 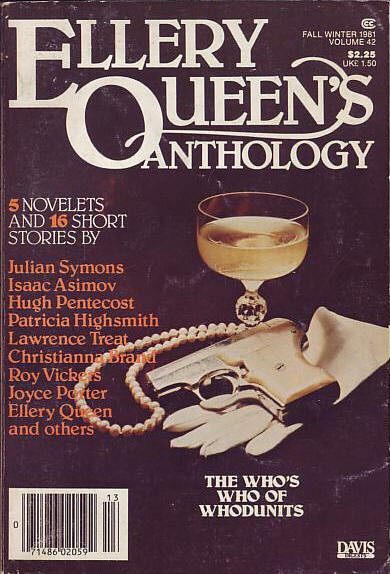 This was also available in hardcover (Dial 1981 as Ellery Queens Eyes of Mystery). 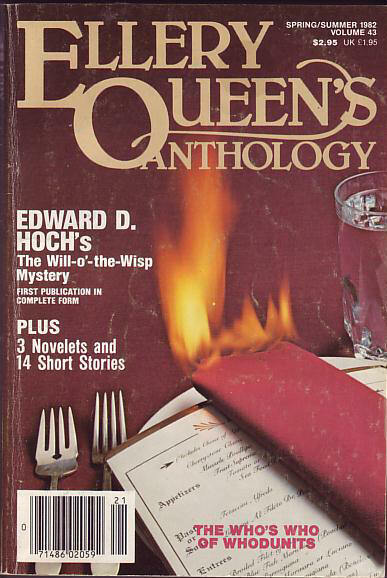 This issue was also available in hardcover (Dial 1982 as Ellery Queens Maze of Mystery). 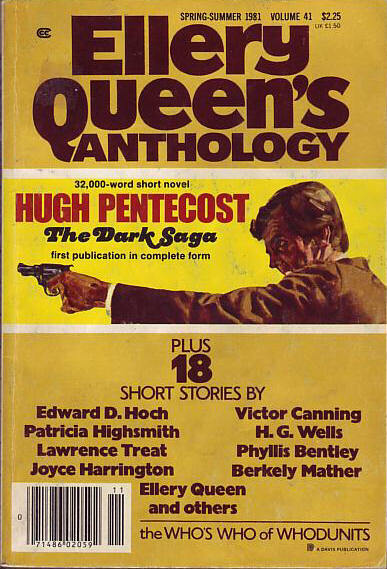 This issue was also available in hardcover (Dial 1982 as Ellery Queens Book of First Appearances). 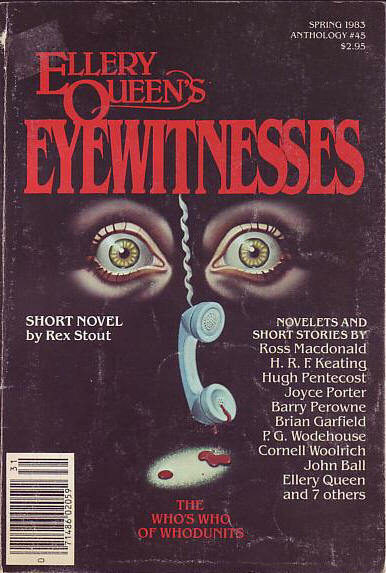 This issue is entitled Ellery Queens Eyewitnesses and was also available in hardcover (Dial 1982, 0-385-27911-6, $12.95). 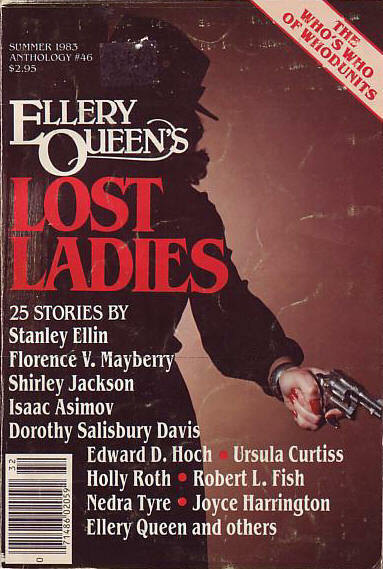 This issue is entitled Ellery Queens Lost Ladies. 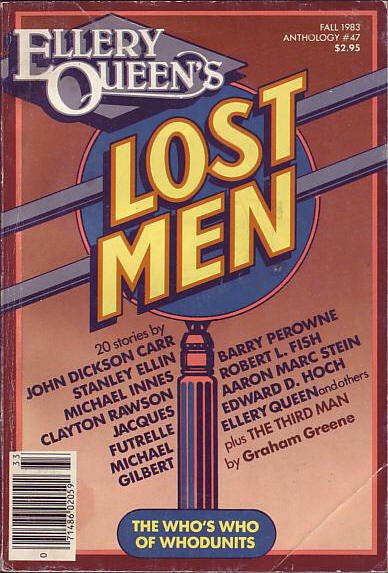 This issue is entitled Ellery Queens Lost Men and was also available in hardcover (Dial 1983, $12.95). 146 · A Test of Identity [John Appleby] · Michael Innes · ss Ellery Queens Mystery Magazine Oct 1955; probably first in The (London) Evening Standard.